Live in Jersey City and would like to see more trees on your block? Here’s your chance to get one, or more, depending on the width of your property. 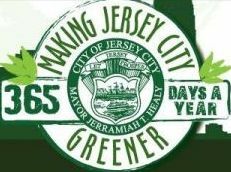 Jersey City’s Department of Public Works, Division of Parks and Forestry is currently accepting applications for Spring 2012 Tree Planting in an effort to make Jersey City a Cleaner & Greener place. The trees will be planted in the sidewalk in front of homes based on a request from the homeowner. We took advantage of this one-of-a-kind opportunity last year and were able to get 2 maples planted in the sidewalk in front of our property and let me tell you, it changed everything from the curb appeal of the property we live in to my mood when I step out in the morning. Look at these two cuties – they are still small but I love them and can’t wait to see them turn orange and red in the fall and grow throughout the years. Look for the 2 smaller guys on the left. There is a fee to the homeowner for the cost of opening the sidewalk and planting the trees – the fee is $200 per tree. If you want (and can fit) 2 or more trees in front of your property, make sure to provide a check with an appropriate amount. The project uses grant money to provide the service below the usual cost of purchasing and planting the trees. Tree supply is limited, hence orders are accepted on a first-come, first-serve basis. The $200 fee will get you one 2.5″ – 3″ caliber tree of your choice without getting your hands dirty – the City takes care of everything – they take care of the transportation, they break the concrete and they also plant the tree. You can choose from 10 varying types of trees (they have complicated Latin names so I won’t even attempt to list them). You can even chose a preferred location for the tree(s) but remember – the tree must be at least 5 feet from utilities, and if you would like 2 or more trees, they must be at least 20 feet apart. In any case, the final location is up to the Director of Park Maintenance. Interested residents can request an application by contacting the Division of Parks and Forestry at 201-547-4449 or by visiting Division of Parks and Forestry website and downloading the 2012 Spring Tree Planting Application. The deadline is Saturday, May 12, 2012 so make sure your application is delivered by that day. Once planted, the homeowner will have to water the tree for about 4-6 weeks. Approximately 5 gallons of water should be applied every day (weather permitting). The homeowner is also responsible for requesting tree trimming, which can be easily completed via the Tree Trimming Request online form. Great article, very informative, thanks!